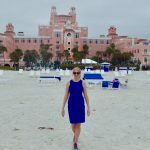 A spring trip to Florida turned into an epic road trip from Clearwater to Key West. 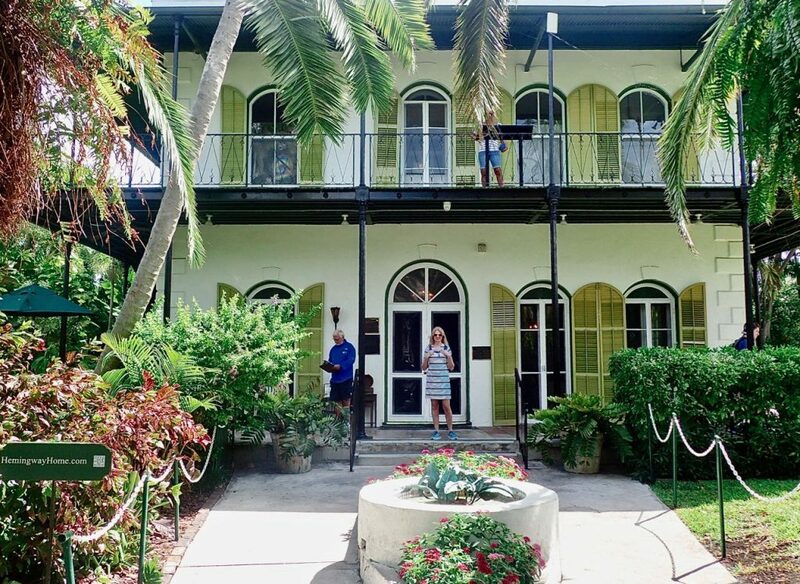 We were going to spend the day talking a boat on the Atlantic Ocean to snorkel off the Florida Keys; however, the wind was fierce and water sports were out, thus,we decide to drive the long road to the end of the Florida Keys and visit Hemingway’s iconic Key West home. Above: a direct descendent of Hemingways’s six toe cat. 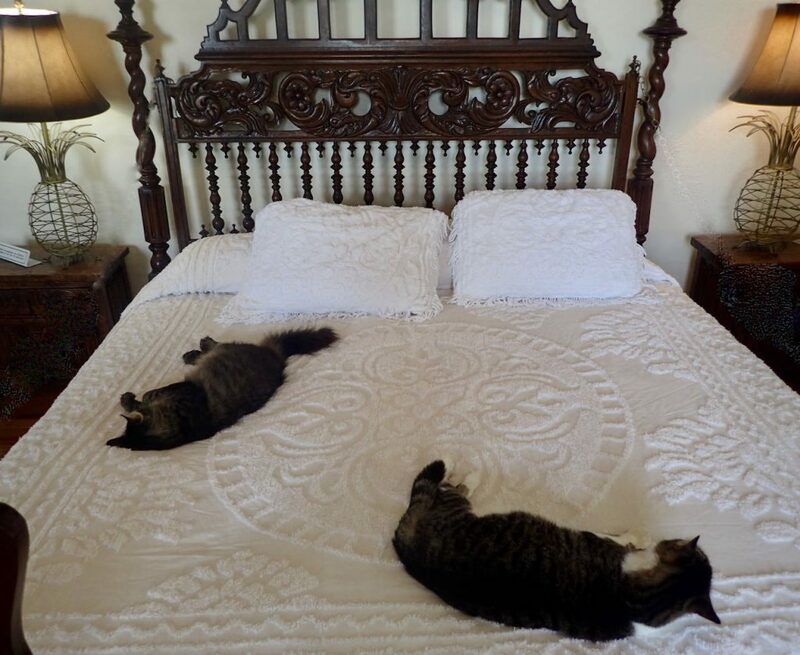 The descendants still live on the property and sleep in impressive catteries. There is even a cat grave yard. I find historical buildings hold the energy of the former occupants within them. 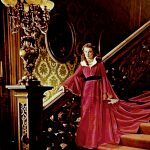 In certain areas of these buildings, when I am still and quiet, I experience strong energy sensations–it is as though I time travel for a few moments and peek into the past. 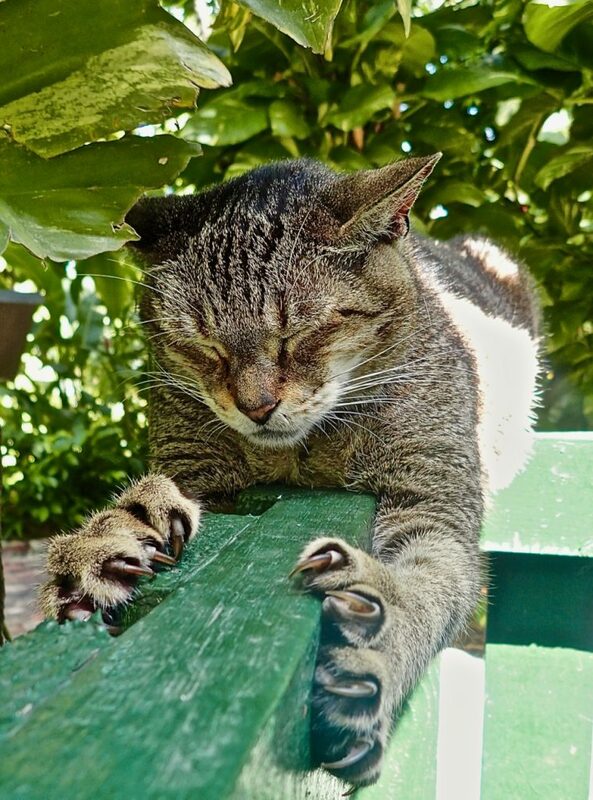 In the case of Hemingway House, I found the connection to the past was through the delightful cats that live on the premises. 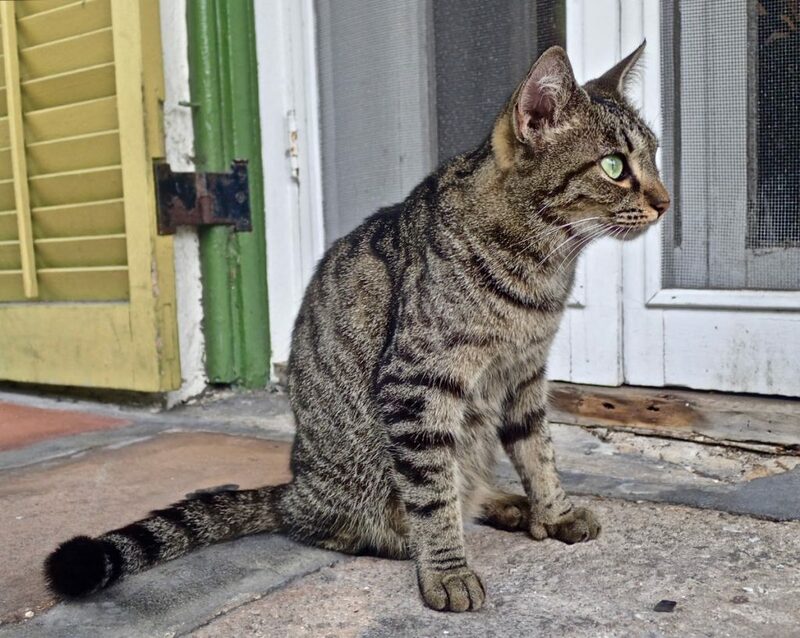 I adore all of the Hemingway cats that run freely on the property. Hanging out with these dear cats, knowing that they are the descendants of Hemingway’s beloved pets, is a present-time connection to the artist whose work I admire. 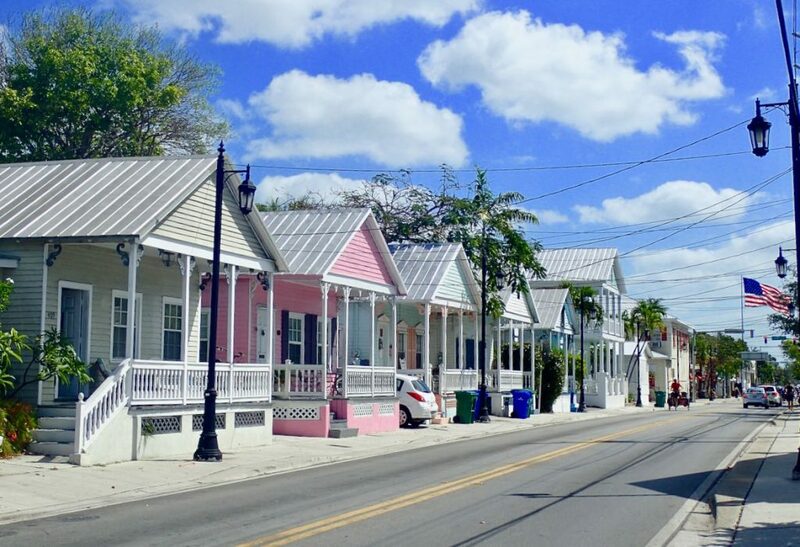 Above: a typical street in “Old” Key West. 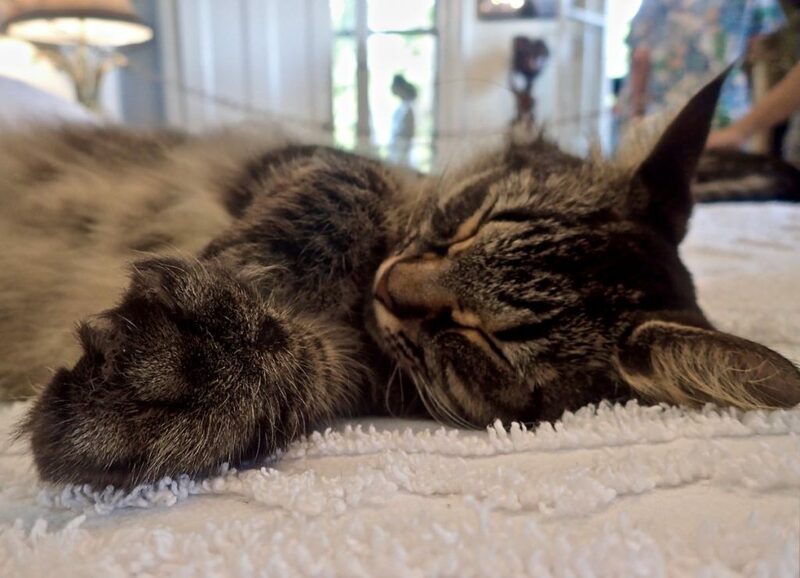 Above: six toe Kitty sleeping on Hemingway’s bed in the master bedroom. 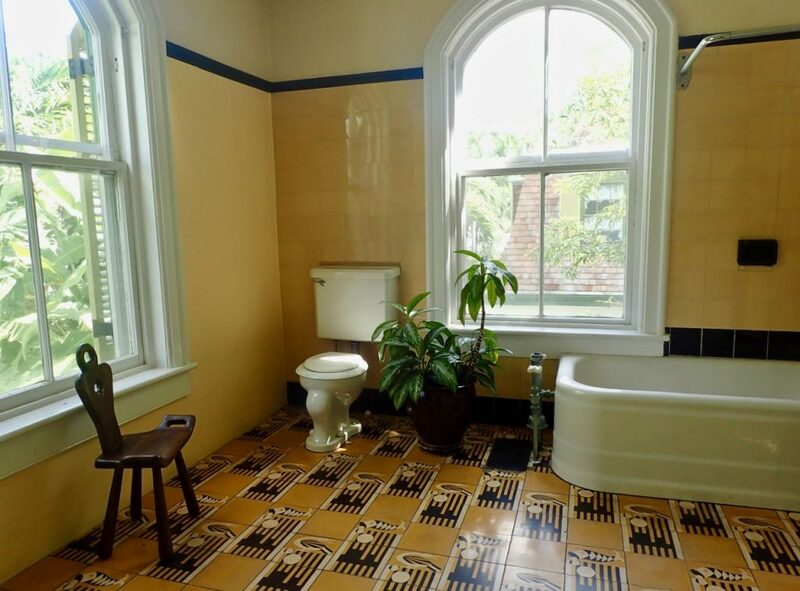 The Art Deco tiles in the children’s bathroom were imported from Paris, France by Hemingway’s second wife, Pauline. Earnest, Pauline and their two sons, lived in Key West, off and on, for about a decade, in the 1930s. 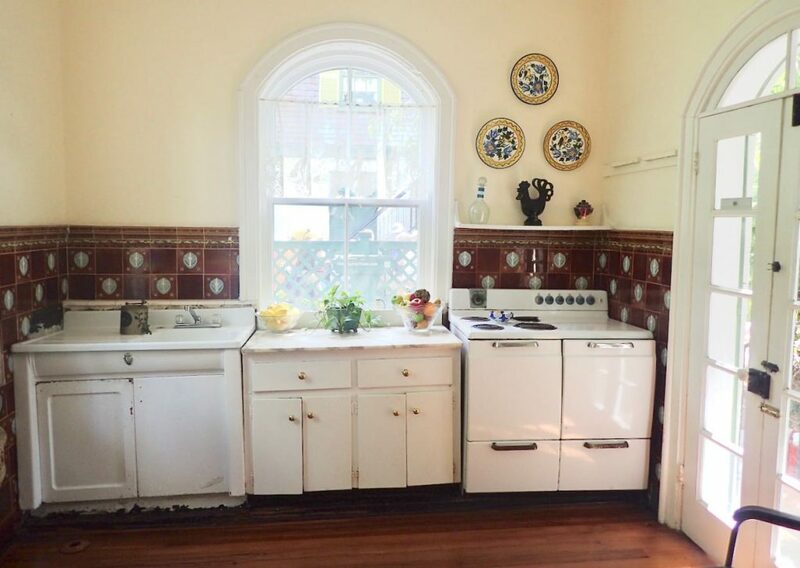 I adore the simplicity of the kitchen areas. 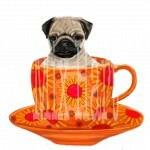 The ceramic tiles are just enough decoration to make the spaces stunningly beautiful. 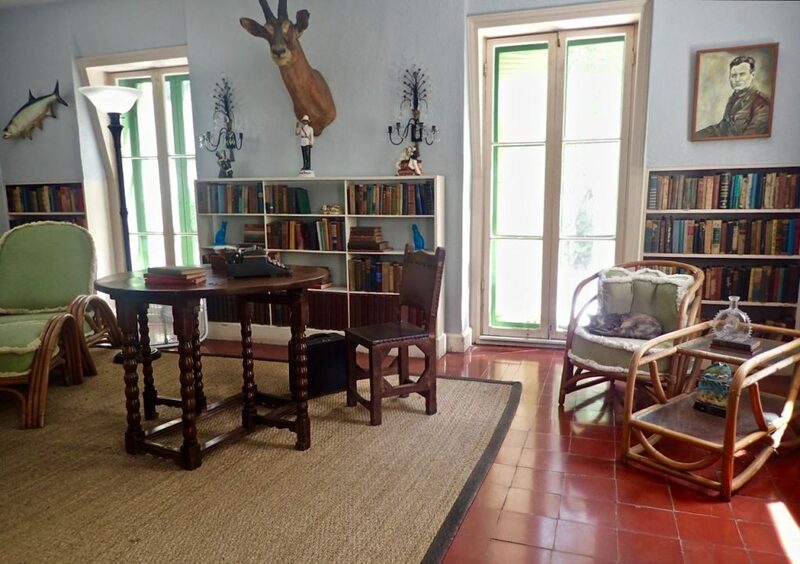 I am inspired by Hemingway’s home, especially his office. I would be a lucky artist to have such a perfect space to create in. 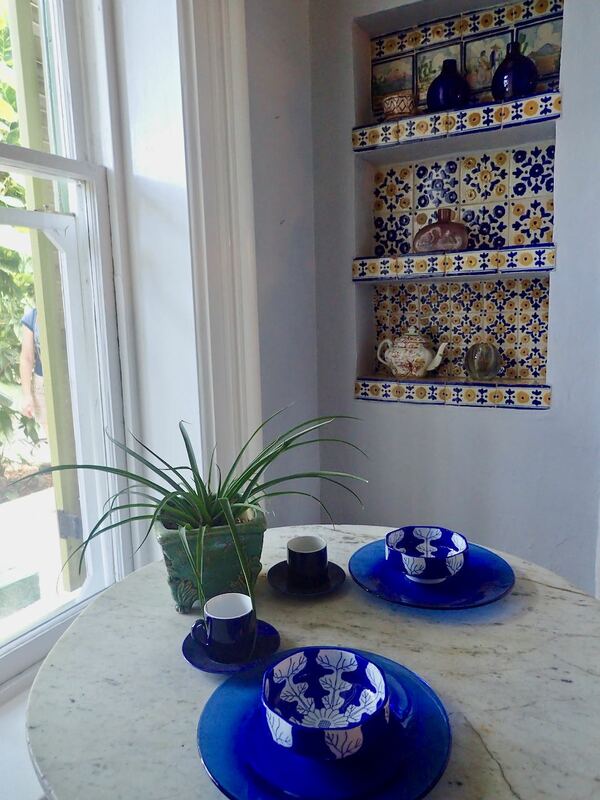 Below: my favourite part of the home is Hemingway’s studio above the carriage house. 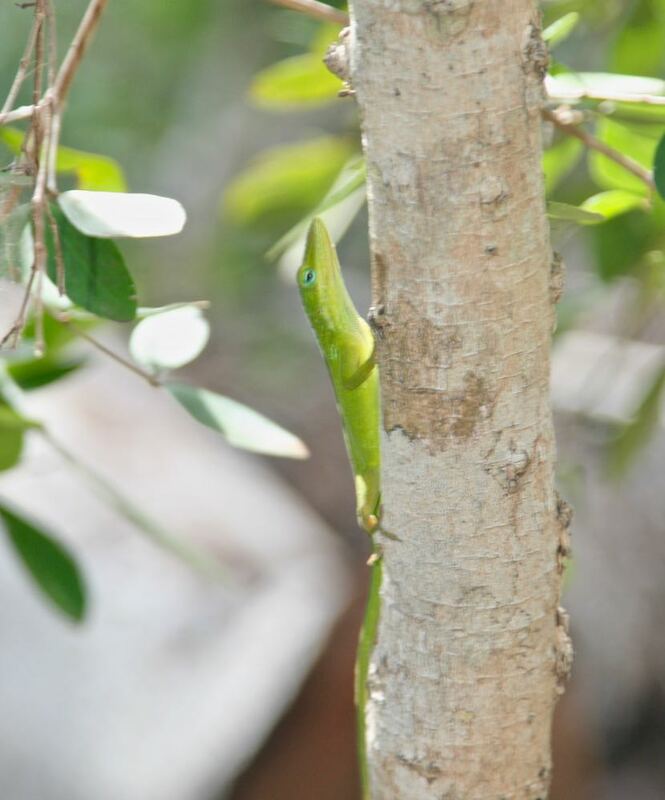 The Hemingway property is an acre in size, quiet, private, and surrounded by many tropical trees. 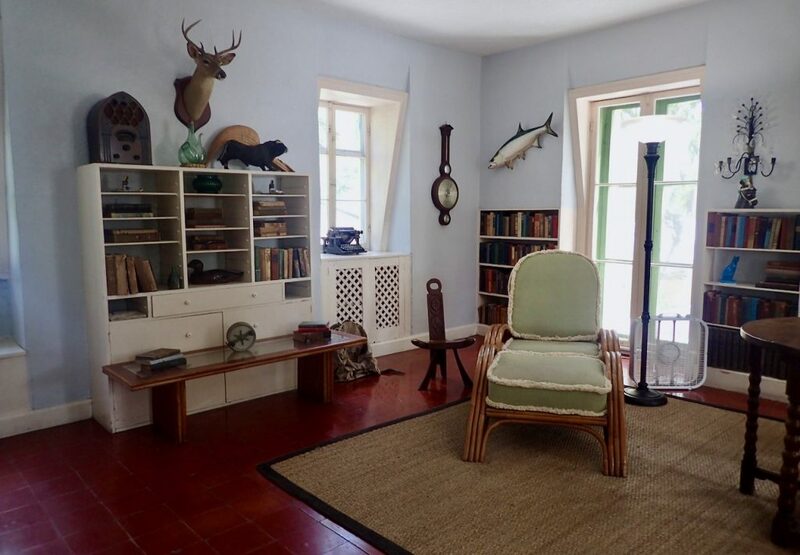 Below: inside Hemingway’s studio. Aside from the taxidermy animal heads, I love it. The lightening is perfect, the energy peaceful and serene. 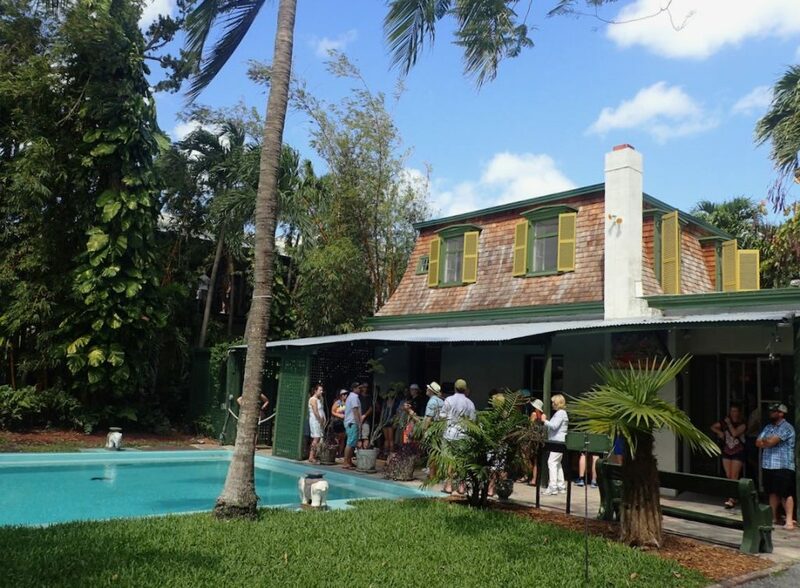 During Hemingway’s time in this studio, he was highly creative and completed many novels during his Key West years. 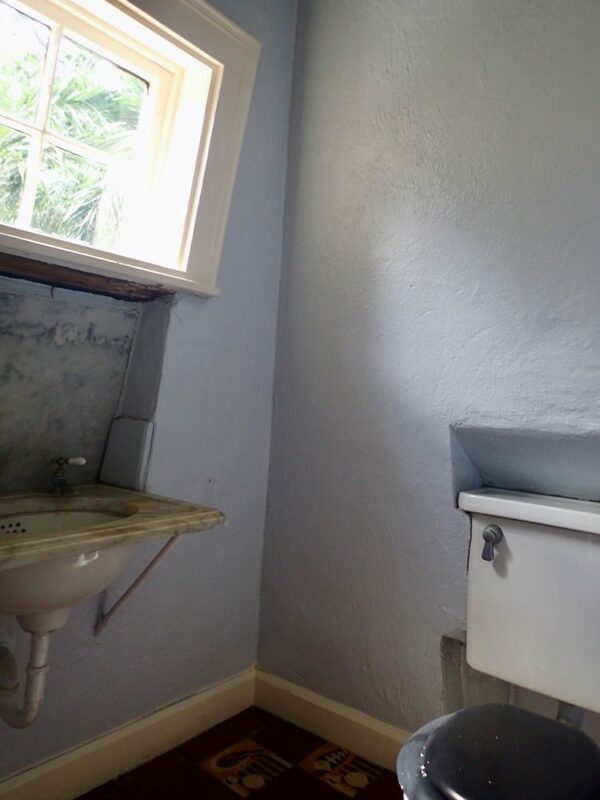 Above, Hemingway’s toilet room off his study. 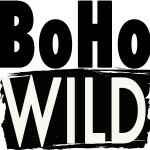 I am in love with wild Florida. It is paradise: the foliage, beaches, birds, alligators, manatees, swamps; however, the Florida Keys were a tragic disappoint to me. 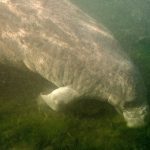 Wild Florida has almost completely vanished. The Keys are perhaps one of the most decimated areas in Florida: urban sprawl along one long stretch of highway from Miami to Key West. Decrepit strip mall after strip mall have taken the place of royal palms and mangroves. 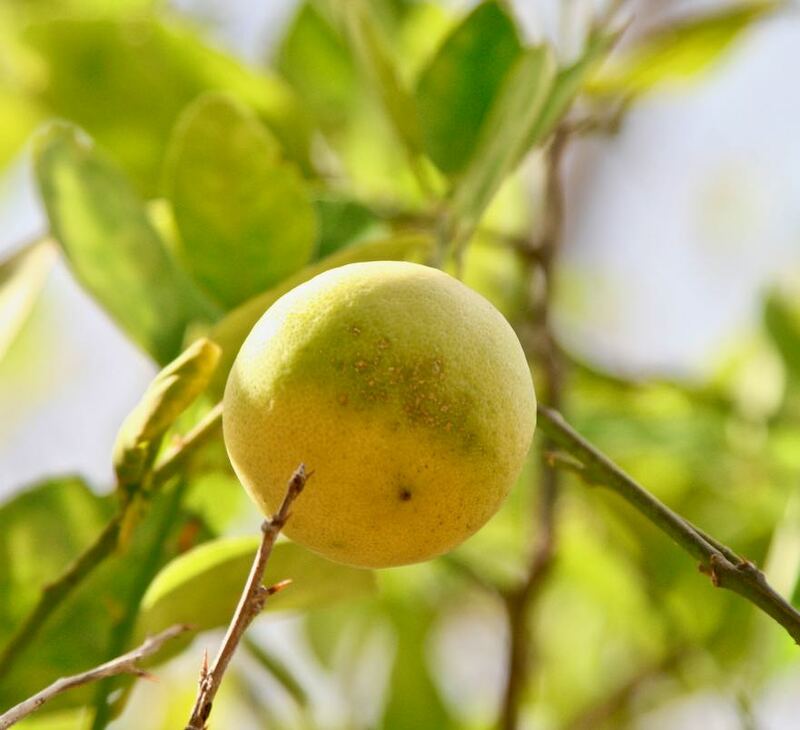 I have chosen not to photograph the ugly, but to celebrate the small pieces of beautiful that still remain and give me glimpses of Hemingway’s semi-wild Florida. Above:the old Key highway beside the new. 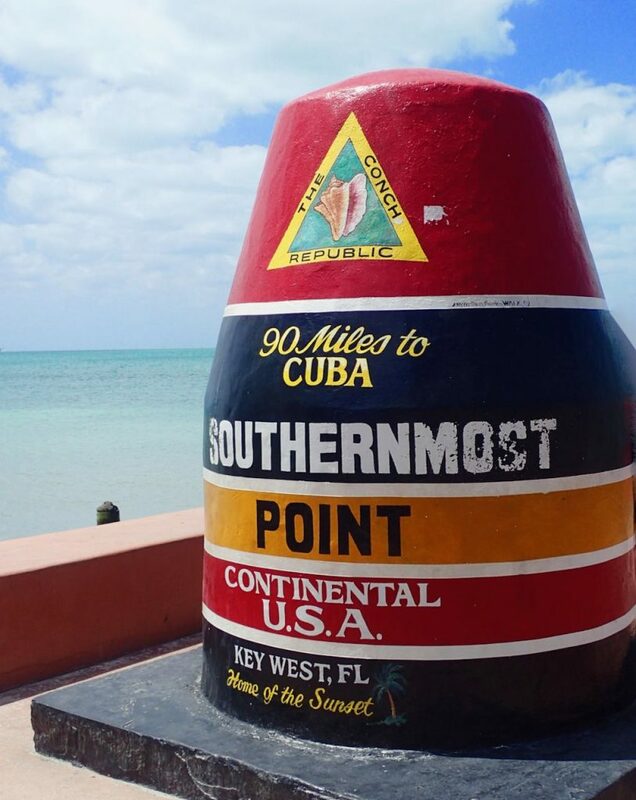 Sadly, “Old” Key West, where Hemingway lived, is crowded with wall to wall tourists and cars. Hemingway would weep if he were alive to see the over-development. Hemingway Visit, Florida Keys, Mix Hart, 2018. 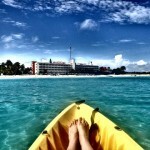 The beaches of Varadero Cuba seem 90 years and 90 miles apart from Key West. 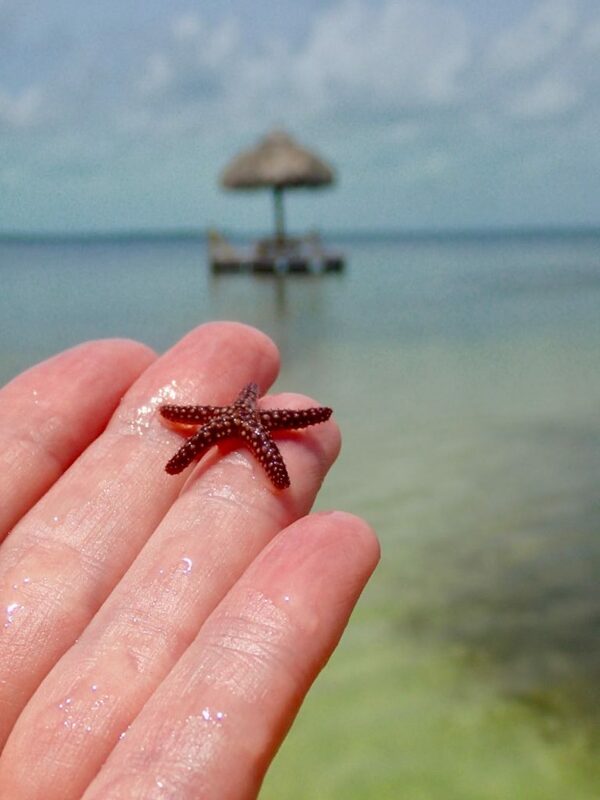 I found many tiny starfish floating near shore in Key West. 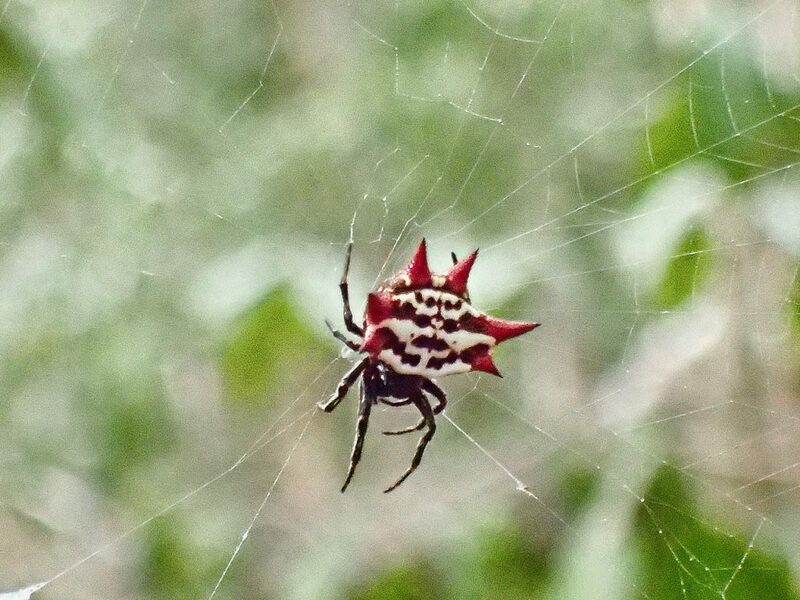 A gorgeous spider I found in the only remaining (and historical) “key lime” orchard in the keys. 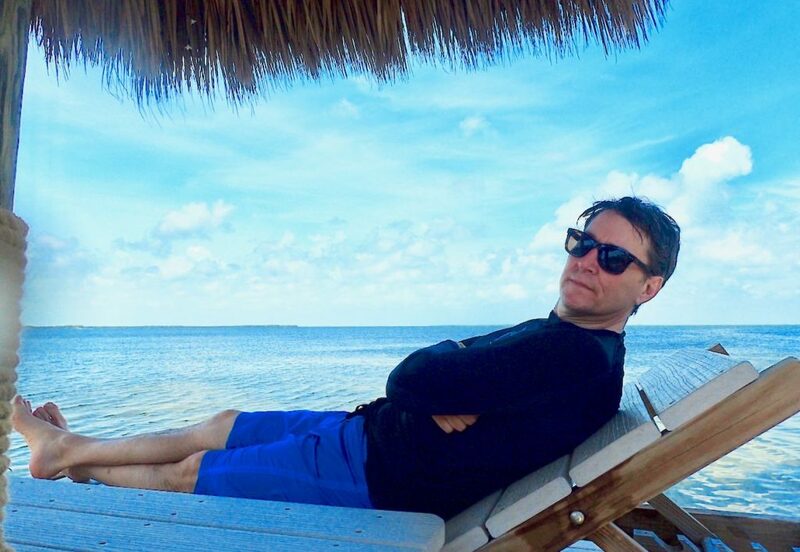 Above & below: relaxing in Key Largo. 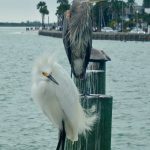 I share with you the best of the Florida Keys, the little bits of “Old Florida” and “Wild Florida” that remain. It is these “little bits” that I revere. 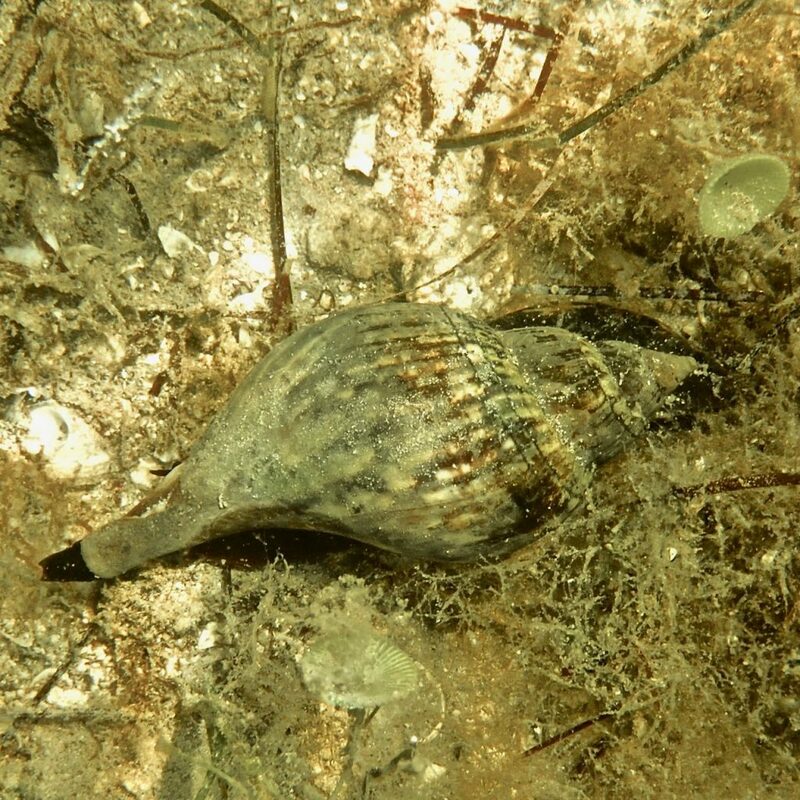 I discovered this living sea snail while snorkelling in shallow water. They are poisonous, and I was happy to be snorkelling, rather than walking, in the waters off of Key Largo. 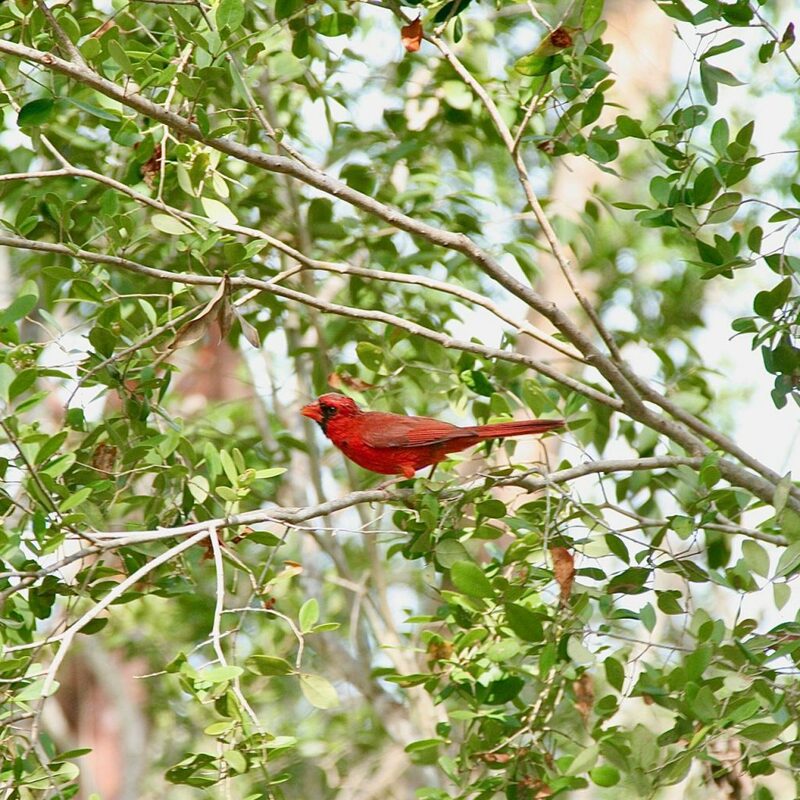 I spotted this beautiful red bird while hiking in a tiny strip of forest in John Pennekamp State Park, Key Largo. The bird resemblesa cardinal but doesn’t have the pointed tuff of feathers on its head. 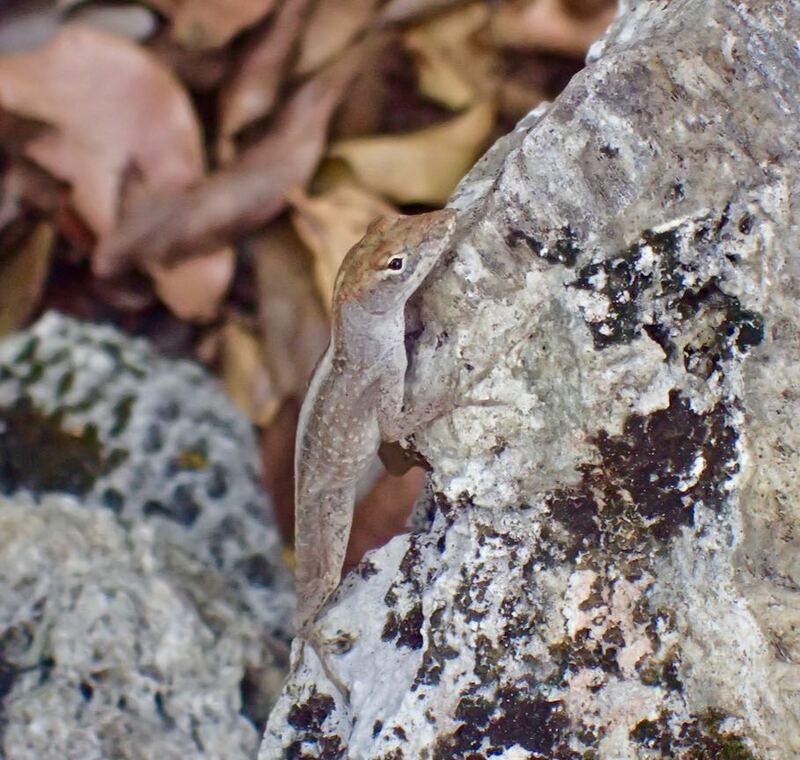 Above and below: the lizards found in John Pennekamp State Park belong to the same family. They change colour to blend with their surroundings. 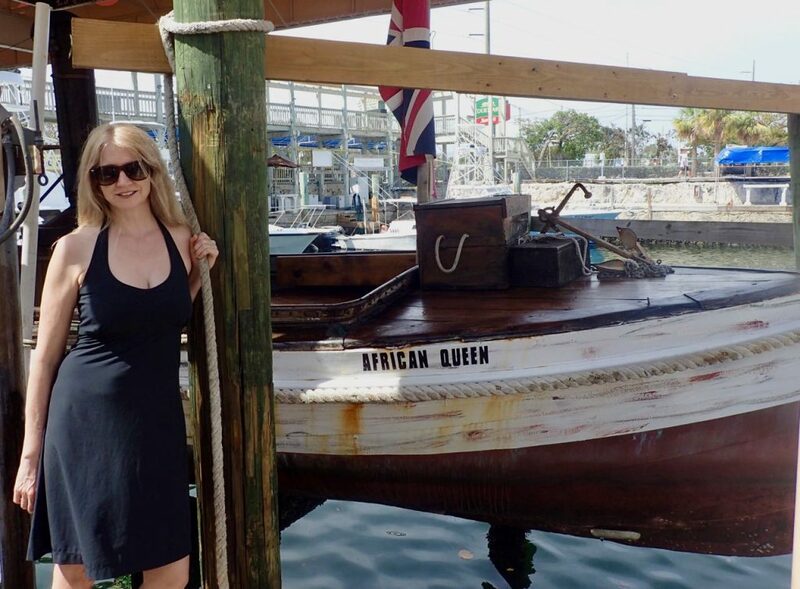 Below: the original steam boat used in the movie African Queen starring Humphrey Bogart and Katherine Hepburn. The movie scenes that take place on the boat were shot on location in Africa in the 1950s. The African Queen was built in England in 1912 and was used on the Nile River, Africa to transport cargo, missionaries and hunting parties between the Belgian Congo and Uganda. The boat came to the US in the 60s. 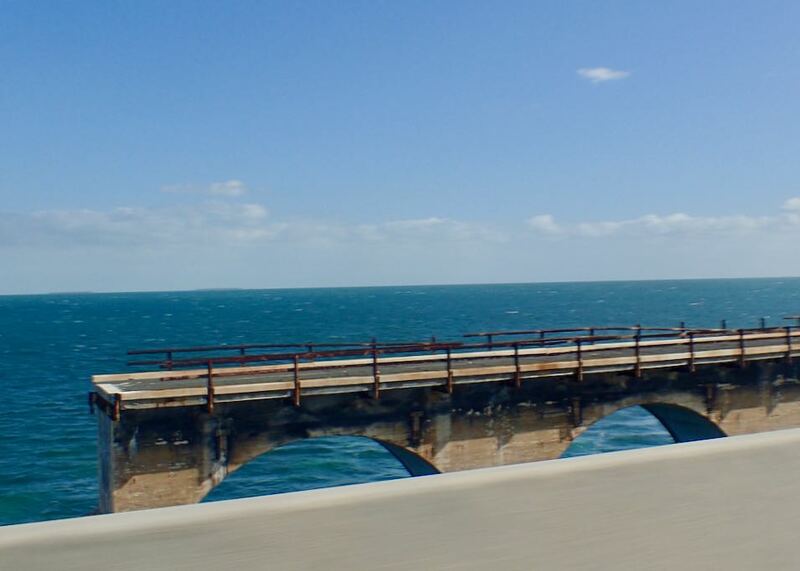 I believe that the only possible way to try to ‘save” what little remains of the Florida Keys, would be to have it designated for foot and cycle traffic only, with a single train and ferry running between the islands daily. However, my ideas are perhaps too late; with global warming, the Keys are expected to be under water in the near future. 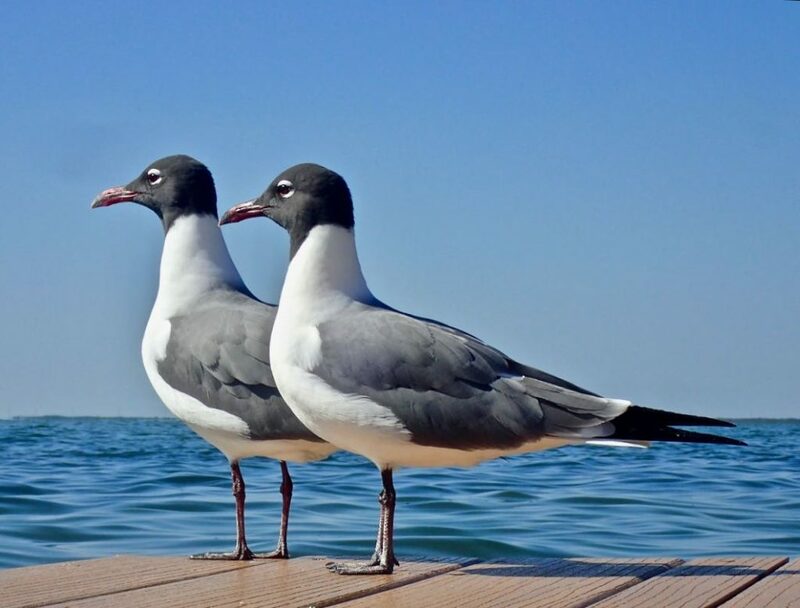 Below: I share a floating deck with these two beautiful, Gulf of Mexico, shore birds in Key Largo. 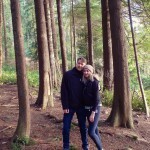 Writer, artist, adventurer, fitness junkie, nature lover and mother...that about sums me up.